HOW can we design spaces for authentic, productive dialogue that foster understanding and agreement while dealing with the predictable challenges that attend such discussions? We introduced many of our core tools and skills, exploring how they can be adapted for these specific discussions. We covered our core method for building understanding and agreement, The Interaction Method ® as well as tools for facilitating agreement, designing effective meetings, using inquiry, and keeping meetings on track. WHAT can we introduce about racial justice concepts into our role as facilitators? We concentrated on building a shared vocabulary and recognizing when people are using the same words (like racism) differently. We also explored the question of when, as a facilitator, we should introduce content, express an opinion or guide a group in a specific direction that they might not have identified for themselves. 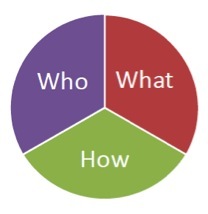 WHO are we and how can carry out the facilitator role with presence and authority? We talked about the importance self awareness—How does our identity intersect with the work of racial justice? How can our own stories be useful as teaching tools? What triggers us? How can we self-manage when that happens so that we can still be of service to the group? And, we explored the importance of self-care—how we can keep ourselves grounded, encouraged and strong in the context of challenging work. We had the privilege of exploring these questions with a group of deeply skilled, knowledgeable and passionate people, and we were delighted that they found value in the practices we offered. We’re curious about your experience. What do you see as fundamental skills, attitudes and knowledge for facilitators who are working with groups to advance racial justice work? Do our fundamentals resonate with you? What would you add?